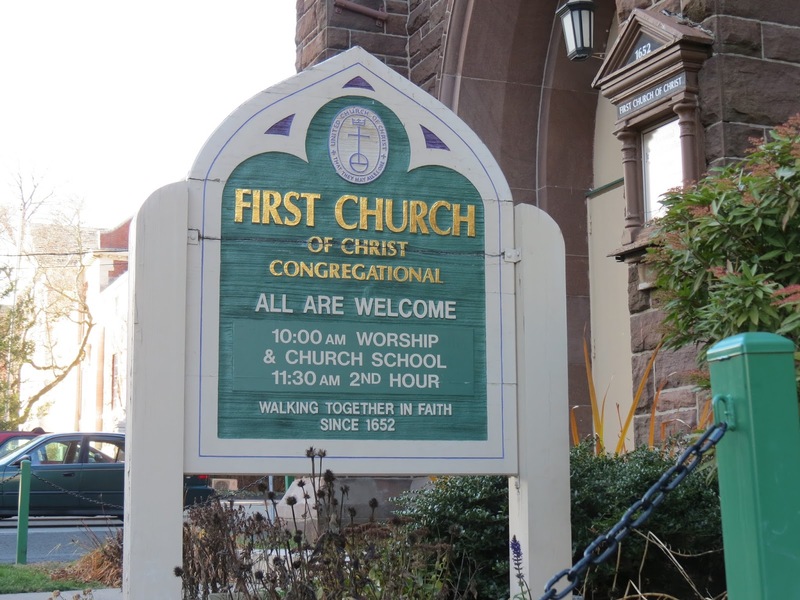 For 14 years or so, Julie Hurlburt, Deacon at the First Church of Christ Congregational*, has coordinated a Community Christmas Dinner at the church, located at 190 Court St., in Middletown. Historic Overview Thirty years or so ago, there were two Christmas Day dinners. There was one Christmas dinner for the poor, served at the local soup kitchen, St. Vincent DePaul Place, and one at an area church. About 15 years ago, when Julie and her late husband Chuck took over, there were still two dinners. Chuck suggested that there should be just one truly community dinner for everyone. So, working in conjunction with St. Vincent DePaul, they took over to provide one dinner for everybody. That tradition continues, today. This is a free community event, open to everyone regardless of need. Dinner will be served to all comers on Christmas Day from 12:00 noon until 2:00 PM in the parish hall, the entrance to which is down the lane on the left side of the church. Julie estimates that about 200 meals are served in the church but she is so busy she hasn't had time to take a head count! Sixty dinners are taken up to the Eddy Shelter, located on the campus of Connecticut Valley Hospital; thirty for the residents, and thirty for homeless who are there, temporarily. Those who don't have transportation but would like to get out for a bit, are brought down to the church. Another seventy five or so free meals are delivered around Middletown. Volunteers start working on Christmas Eve. Food is prepared to be put in the ovens to warm, the next day. Turkeys are carved, hams sliced; anything that can be prepped ahead of time is placed in pans and put in the refrigerator, ready for the oven! The parish hall is readied for guests; dining tables are set with real dishes and silverware, not paper and plastic. A real, honest to goodness formal dining room is prepared with table cloths and linens! Those serving the guests are encouraged to engage with them. The church is within walking distance of senior centers and many seniors come down for the social experience. Many don't have family and it is very meaningful to them to chat with someone on this special day. 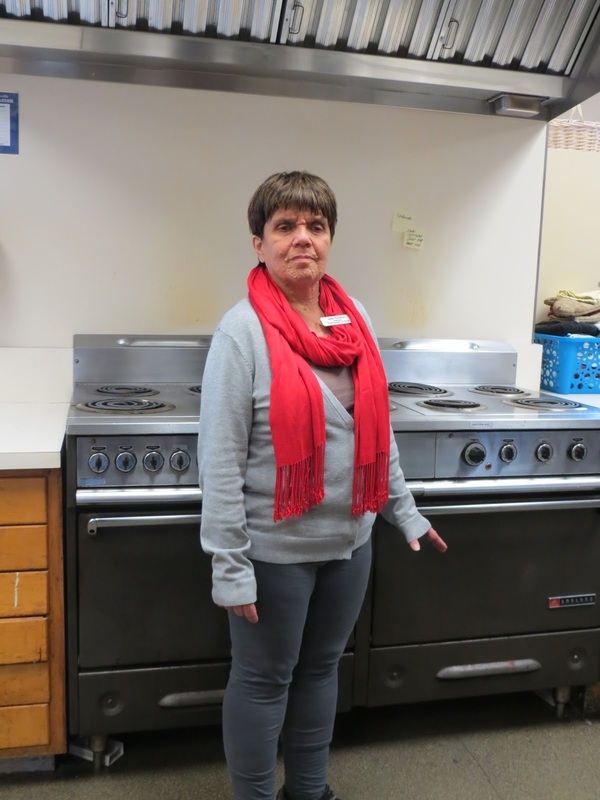 "We are doing more than just serving food, we are fulfilling a need", says Julie. The volunteers are themselves encouraged to eat. Impromptu carolers are welcome, also. There is a piano in the hall and this year, a sound system. Food comes from a variety of sources. Turkeys and hams come in already cooked. 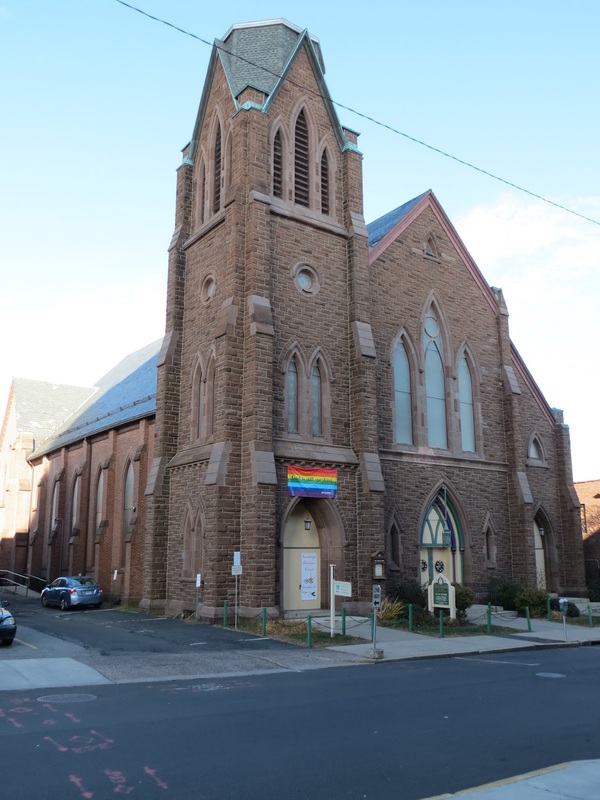 St. Vincent's provides food, area restaurants and churches do, as well. Members of the community can drop off home made items or canned or frozen goods, including, but not limited to, cooked turkeys, pies, cakes, cookies and cold drinks, on Christmas Eve from 10:00 AM 'till noon, or on Christmas Day starting at 9:00. While most things are donated, some items still need to be purchased. Donations can be made in the form of checks made out to First Church of Christ, with "Christmas Dinner" written in the memo section. They can be dropped off at the church or mailed in. 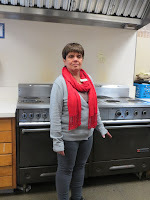 Julie says, "The true spirit of Christmas is felt in our parish hall and kitchen on Christmas Day. What better way to share with others the love of Jesus Christ on the day we celebrate His birth!" Anyone interested in volunteering or donating can contact Julie Hurlburt at 860-346-6657 Ext. 15 or hurlj@att.net. *Established in 1652, First Church of Christ is literally Middletown's first Church.